The pace at which the Web rolls today has picked up, and we feel obliged to give you a status report and outlook. This eBook focuses on recent changes in Web development, as well as design trends that are likely to catch on and could have a substantial effect on our workflow. Be prepared for the onset of innovative approaches such as responsive Web design, and learn how to apply psychology-based persuasion triggers in your designs. Clear up some myths about HTML5 and CSS3 , and make use of the “design matrix” methodology. This eBook describes existing and upcoming trends, and explains how Web design could evolve in the coming months and years. It also touches on what Web designers should be ready for and how to keep abreast of new challenges and opportunities. 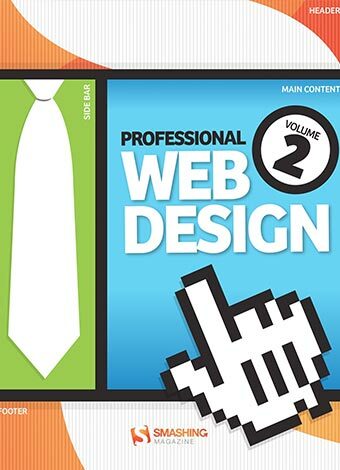 The eBook contains carefully edited articles about professional Web design that have been published on Smashing Magazine in 2010 and 2011. Check whether you are up to date and ready to implement what is required in order to keep up in your field. We’re seeing better interaction design and more aesthetically pleasing designs. And we’re seeing more personal, engaging and memorable sites, too. But what exactly is making the difference? What new directions is Web design heading in today? What new techniques, concepts and ideas are becoming important? This eBook describes existing and upcoming trends and explains how the Web design might evolve in the coming months and years. It also touches on what Web designers should be ready for to keep abreast of new challenges and opportunities. The articles are the best about professional Web design that have been published on Smashing Magazine in 2010 and 2011. They have been carefully edited and prepared for this eBook. Some screenshots and links were removed to make the book easier to read and print out.